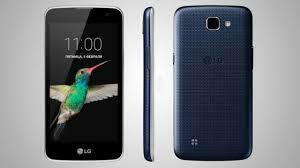 LG has proclaimed that its reasonable latest K-series cell phones are about to launch internationally. Or at least the LG K10 and LG K4 are, however strangely the also-declared LG K7 is nowhere to be seen. The cell phones will be undulating out across Europe and CIS beginning this week, followed by Latin America, the Middle East and Asia in the subsequent weeks. The LG K10 is the further exciting of the two handsets, with a 5.3-inch 720p display, a 2,300mAh battery and a smooth plastic body. The rest of the specs are a bit fewer obvious, as LG will be carrying diverse versions of the phone to dissimilar fractions of the world. But it could contain 1GB, 1.5GB or 2GB of RAM, a 13MP or 8MP back camera, an 8MP or 5MP facade snapper and a quad or octa-core Processor. The LG K4 is at least a slight extra set in stone. It has a 4.5-inch FWVGA display, a 1.0GHz quad-core Processor, 1GB of RAM, a 5MP back camera, a 2MP front one, 8GB of storage and a 1,940mAh battery. Both phones run Android 5.1, arrive in 4G flavors and sport several of LG's photography tools, for instance Gesture Shot.